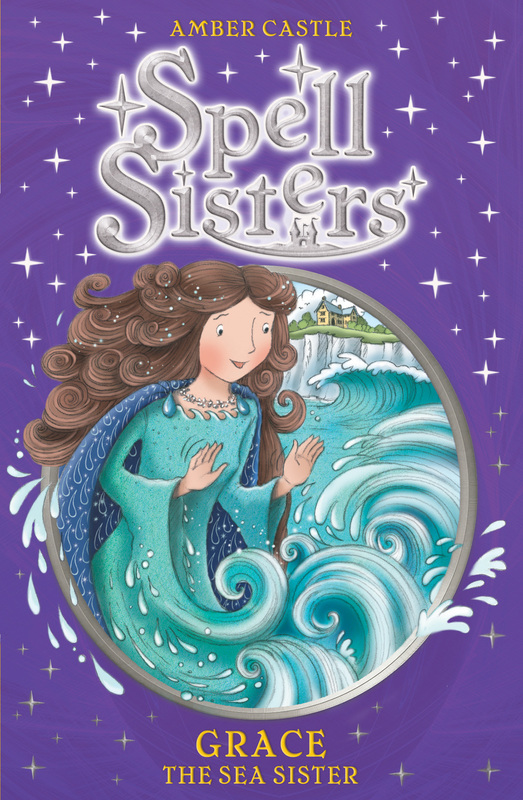 An exciting new series for 7+ girls following a young Guinevere of Camelot in her quest to save the magical island of Avalon form evil Morgana Le Fay. When eleven-year-old Gwen ventures into the forest beyond her castle home she comes across the magical island of Avalon and her life changes forever. The lady of the lake, Nineve, asks Gwen to embark on a quest to protect the enchanted island of Avalon from the evil sorceress Morgana Le Fay. Morgana has imprisoned the eight Spell Sisters of Avalon throughout the kingdom and stolen their magical powers. It's up to Gwen, her best friend Flora and a very special horse named Moonlight to find the sisters and return them to Avalon before its magic is lost forever. In their fifth adventure Gwen and Flora face stormy seas and dangerous cliff-climbs to save Grace. Amber Castle has always loved fairytales and the legends of Guinevere and King Arthur. She’s also a keen horse rider, and when she tried archery for the first time a few years ago, she found it so much fun she now does it every week.